Feel the future war on yourself by installing this mod compatible with the latest version of Minecraft PE. The Future Wars mod adds new futuristic weapons that consume energy during use and some bonuses. In short, the mod is intended for team competitions as there are 3 sets of all items for the three teams, which differ only in color. New weapons: blasters, guns, laser swords and more. Each type of weapon has a certain power and consumes a different amount of energy. The charge (a separate object) is used as ammunition. New armor: 3 types with increased strength, speed and jump parameters + additional effects. 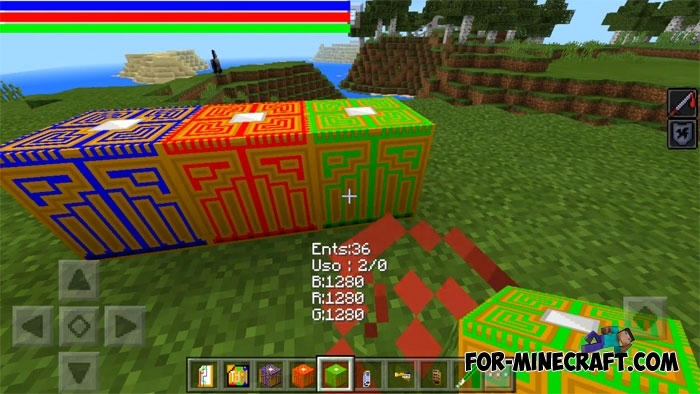 There are 3 energy charge blocks (green, blue and red). The protection of the block is the main task of each team. If the block is destroyed then the team lost. 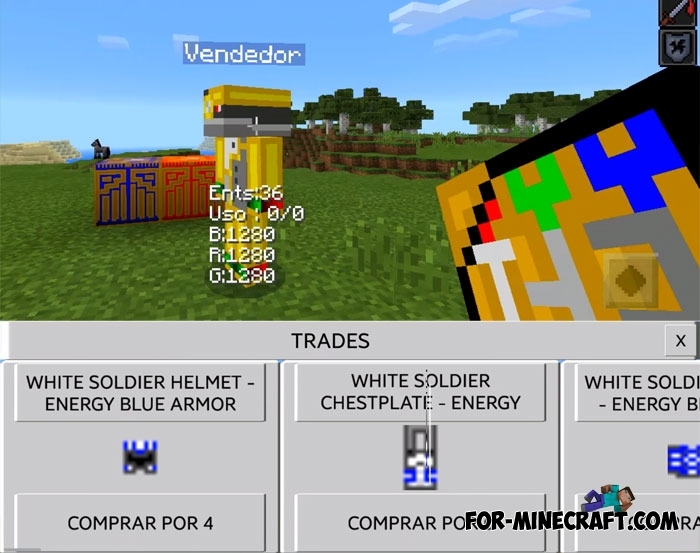 Trader can exchange a certain number of cards for items available in the list. He can offer you any weapon or item for a fee. This modification is more like Star Wars, but with some differences. In general, this is an excellent mod for PVP battles when the number of players is more than 10. How to install the Future Wars mod? 1. Open the game and go to settings. 2. Activate the downloaded files (the resource and behavior packs). Star Wars addon (MCPE 1.0/1.1)Star Wars addon is a little more than just an addon because there is almost everything that can be changed. 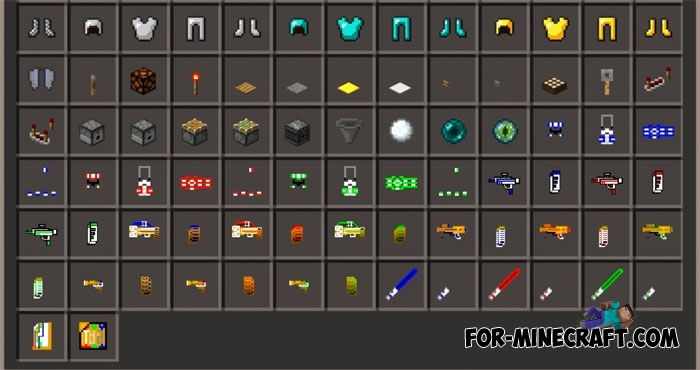 Laser Guns mod r004 for Minecraft PE 1.0.0/1.0.2Would you like to get a real laser gun? Maybe ordinary guns does not bring you pleasure and you want something..